Welcome to the platform, Nice to meet you as well. Steem Faucet was built in order to help people get to know STEEM better and earn small amounts of STEEM. If you want to try Steem but hesitant to spend your real money for it, then Steem Faucet are for you. 2 . Post a comment on this post. Minimal payout 0.05 STEEM. Within the next 1 - 24 hours. This Post ends after 24 hours. I reserve the right to increase or decrease the payout amounts. This is also to ensure a constant supply of Steem. If you enjoyed this post please UPVOTE to keep this faucet running. 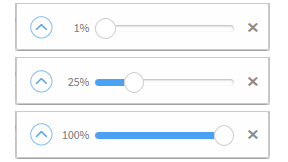 If you are used to vote at 100%, make sure you lower your voting slider to 25%. At least if you vote more than 10 times a day. Not a limited number of votes per day. Instead your voting power will drain faster if you use lots of 100% votes. Steemit for Beginners - July, 8th 2017. Thank you for coming to the platform and making this an even more beautiful community, enjoy ! 0.05 Steem was sent to you. Thank you very much for your kind gestures.. you will be replenished in 100s folds. Upvoted. Nice post! Also, fun fact for today: a cat has 32 muscles in each ear, hah. Welcome! Hope you like steemit! I wish you the best! and hope to see you soon. Janitor unit needs much steem binary monetary units to get much pine sol. Janitor unit appreciates much pine sol from @steemfaucet . Much upvotes and follow human units. Thanks for setting this service and also bless you and the steam gods for all of the blessings and opportunities that will come from this. Thank you for providing any form of motivation to the community. I look forward to when I can do the same!